Each year, manufacturers unveil a plethora of new RVs, floor plans and features. And for good reason. We can’t help but be drawn toward bright new shiny objects! At Go RVing Canada, we’re in awe of all the trends in RVing out there – from changing RV sizes and types to new interior ideas, to the latest in technology. So, what RV trends can we expect to see in 2019? Here’s the run-down. This has been a trend for the past couple of years but is even stronger today. Class B vans (or campervans), B+ (B-Plus) and Class C motorhomes are showing up in a variety of sizes, floor plans and price points for the RVer interested in keeping their footprint small and maintaining high mobility. Manufacturers have been announcing the sleek, small RVs that give the fanciest Toronto condo a run for its money. What’s great about these too, is the price point, with many fully outfitted motorhomes starting under $85,000. Oh, and did we mention they fit in regular parking spots, off-the-beaten-path locations and look amazing on Instagram? You bet they do. Speaking of “off-the-beaten-path,” rugged and off-road RVs are popping up everywhere and sure to get the outdoorsman excited. 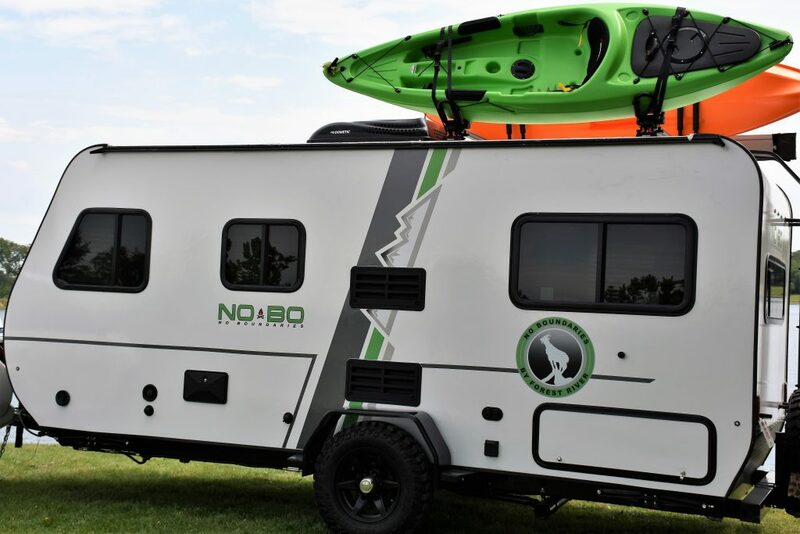 Many brands, old and new, have been announcing RV campers and motorhomes built specifically for off-pavement, and previously unreachable terrain. Some models feature rugged tires, high-clearance, compact structure and accessories that are ultra secure for those bouncy roads. Bodies are also designed to withstand a thrashing with rail guards and window coverings. Utility add-ons such as roof racks and side gear mounts for bikes or surfboards are also common. 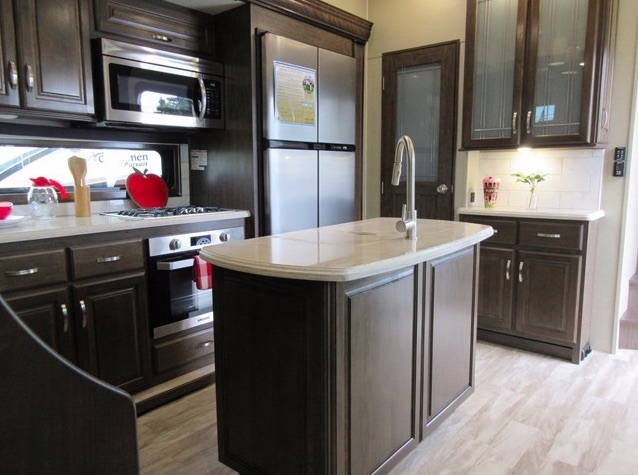 Your inner gourmet chef will be happy to know more and more RVs – especially 5th Wheels– are being built with ultra deluxe kitchens and kitchen accessories. Residential-style stainless steel RV refrigerators are now seen in more along with larger ranges, wine fridges and even breakfast bars! And since camp cooking is so important to us RVers, more and more RVs feature an outdoor cooking station perfectly equipped to whip up an outdoor meal your guests will be raving about for weeks to come. Camping is all about getting outdoors, so it’s no wonder many RV brands are starting to integrate more livable outdoor spaces into their RV designs. We’re seeing a lot of outdoor entertainment set-ups with TVs and speaker systems along with exterior cocktail bars perfect for schmoozing with friends. Another fad we don’t see going away soon are outdoor patio areas found in larger trailers, fifth wheels and park models. Use these for your morning sunrise and coffee or to hang out after a day of riding. Of course, we can’t talk about trends without talking about tech. Expect to see more RV camper manufacturers integrating the latest technology into their RV layouts such as automated in-floor RV heating systems, under-mount RV air conditioning, smart audio setups and command system display panels with integrated smart phone apps. Just take a look in some of those luxurious Class A motorhomes! The future of camping is here, people! Previous ArticleWill You Get Hitched in 2019? Next Article Some conversations only happen ’round the campfire.